The eagerly awaited Suunto Ambit watch – also known as the “Outdoor athlete’s watch” or “GPS for explorers” – will land in SA at the end of the month, where keen customers have already almost ensured a sell-out at retail. The special features and advanced technologies were recently explained and demonstrated at a launch at Groot Constantia in Cape Town. 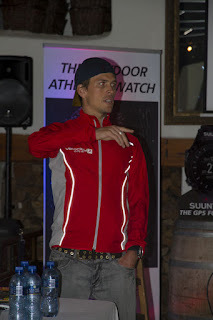 Although the features can probably fill a book and meet the needs of any outdoor enthusiast, it is actually user-friendly and relatively easy to use and understand, explained Ryan Sandes, who had been training with the watch for two months. He liked the fact that you can customise it for your needs, that the battery lasts long enough to use in a 10hr race, regularly picks up satellites and therefore gives accurate readings in remote locations, and that you can have three readings simultaneously on the screen without having to adjust, and six reading with the press of a button (he found the distance and elevation readings especially handy for trail running). Sandes’ girlfriend especially enjoys plotting his progress on the movecounts.com website where all data can be downloaded, viewed, analysed and even compared and shared with friends or coaches. 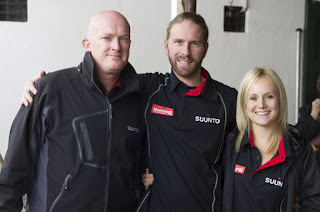 This feature was introduced last year at OutDoor Friedrichshafen show for the Suunto Quest. See here for demonstrative video. The Ambit has 48 features that can be used by mountainbikers, trail runners, hikers, climbers, paddlers and any other outdoor enthusiast. It will also be promoted through a variety of events, says Amy Linell of local distributor Ultimo. 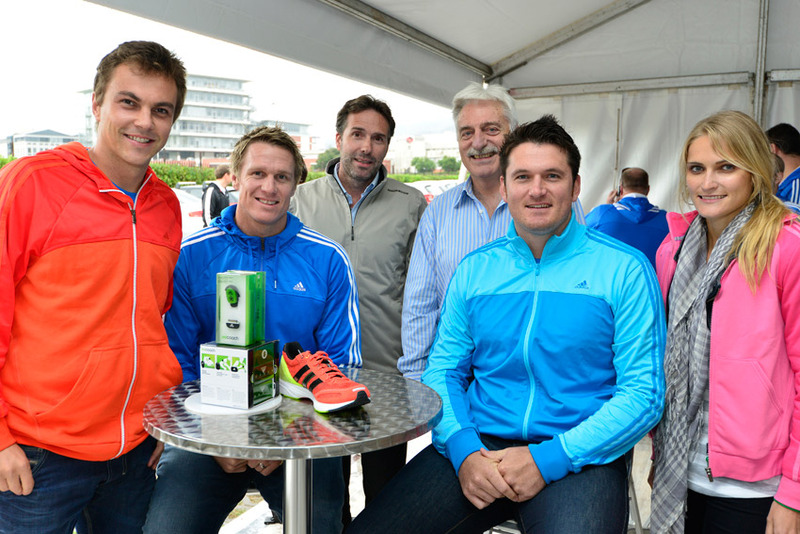 The Cape Town winter weather decided to test adidas’ new adiVan by throwing cold and rain at it and seeing how it held out. 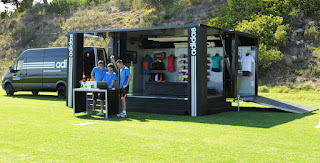 True to form, adidas’ van and portable store, showcasing their technical running range, proved more than a match and attracted sponsored athletes, adidas staff and guests to its launch. 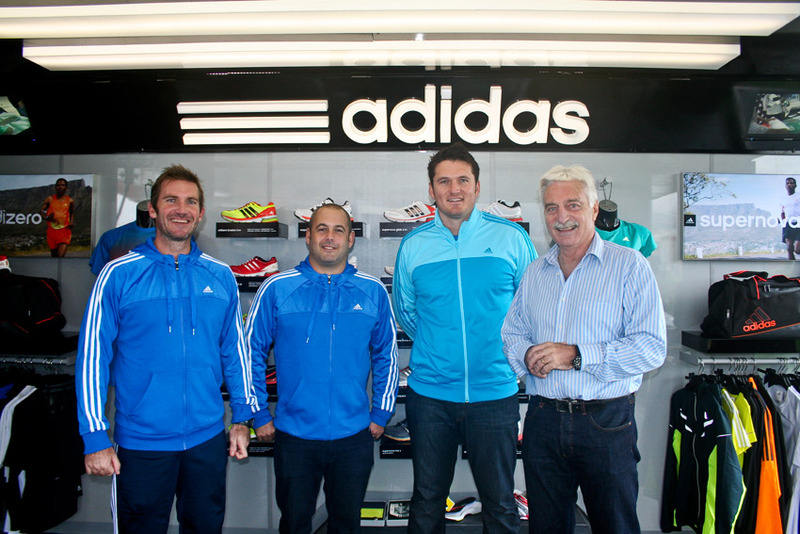 The adiVan is being taken throughout SA to major events – starting at the recent Two Oceans Marathon where they won a gold award for the medium to large category stands at the expo. 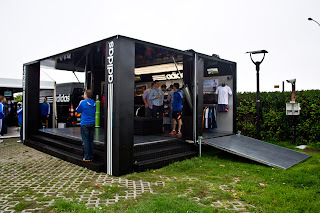 adiVan features the adidas footscan, micoach onsite trial and a digital integration with the adidas club newsletter, 3Stripes. 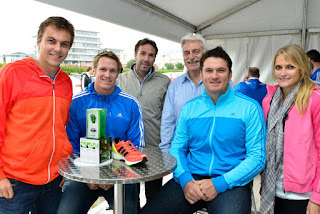 From left to right: LJ van Zyl (SA Olympic athlete – 400m hurdles), Jean de Villiers (Stormers captain), Winand Krawinkel (adidas SA managing director), Gavin Cowley (adidas SA marketing director), Graeme Smith (Proteas captain) and Irvette van Blerk (SA Olympic athlete – long distance running). adiVan has a full year schedule already, making appearances at running and other major sports events (Two Oceans Marathon, Comrades Marathon, adi-active runs, soccer matches, rugby matches, cricket matches, etc. 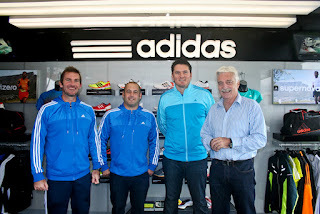 ), major shopping malls and retail partners, and at partner activations with Orlando Pirates Football Club, Stormers Rugby, Cricket South Africa, Ajax Cape Town Football Club, Discovery Health, Virgin Active Gyms and various other adidas partners.